0. XMAS PROGRAMME - WHILE SANTA & HIS ELVES MAKE A WELCOME RETURN TO THE MUSEUM ON SATURDAY 07 DECEMBER, THE MONTH OF DECEMBER WILL BE FULL OF FESTIVE ACTIVITIES IN THE MUSEUM. As the countdown to Christmas begins, it gives us all permission to indulge in a little nostalgia. Memories of our own childhood Christmases mingle seamlessly with much-loved traditions from films, books and history. Where better than the National Museum of Ireland - Country Life to draw all these elements together in a festive feast of attractions and activities with a firm focus on families? Saturday 7th December is Christmas Family Day (Santa and his elves return to the Museum) but the entire month is a whirl of festive action for all the family to enjoy. Further details below. Visit www.ouririshheritage.org to find out about local Irish history & heritage and to contribute photos and stories about your locality. Saturday 23 November: 3-4pm. Talk. An Introduction to the NIAH Survey of County Mayo. Adults. As part of the survey of Ireland's post 1700 built heritage, the National Inventory of Architectural Heritage have just published its results for Co. Mayo. Willie Cummings will present and discuss the findings. No booking required. Friday 29 November: 3pm. Tour. Documentation Discoveries. Adults and children 14yrs+. Tour behind the scenes, see and hear about some of the exciting and puzzling discoveries uncovered in the museum's collection. Booking required. Saturday 30 November: 10.30-4.30pm. Conference. Maigh Eo agus an Ghaeltacht: Bás nó Fás. Adults. Mar chuid de Bhliain na Gaeilge, tá Músaem Shaol na Tuaithe mar aon le Comhairle Chontae Mhaigh Eo ag eagrú comhdhála ar staid leochaileach na Gaeilge i gceantair Ghaeltachta Mhaigh Eo. Cíorfar ról na pleanála teanga agus gníomhaíochtaí eile. Áirithint: teagmháil le smcphilib@museum.ie Tel : 094-9031762. Saturday 30 November: 1-3pm. Demonstration. Spinning the Traditional Way. Adults and children 7yrs+. Join Bettina from the Connacht textile Crafters as she demonstrates the technique of 'using the long draw' on the spinning wheel and spindle. No booking required. Enjoy a festive feast of activities in the National Museum of Ireland - Country Life this December. Saturday 7th December is our Christmas Family Day but the entire month is a whirl of festive action, suitable for all the family to enjoy. Come along as there is no booking required. Check www.museum.ie for details of other Museum events taking place during December. This exciting new exhibition firmly establishes the antiquity of our national game of Hurling with radio-carbon dated hurling balls from 800 years ago! The hair hurling ball collection of the National Museum of Ireland is displayed with an ancient hurling stick. These hurling balls are of matted cow-hair with a plaited horse-hair covering. This exhibition looks at these bog finds in relation to where in the country they were discovered, how they were made and the scientific analysis undertaken by the Museum. This revealed so much more than the naked eye could see... The exhibition runs until May 2014. In a partnership between the National Museum of Ireland (NMI), the Irish Times and the Royal Irish Academy, 100 objects have been chosen by journalist Fintan O'Toole to take us through the history of people in Ireland over 7,000 years. 4 of these objects can be seen in the NMI-Country Life, Turlough Park. · No. 82 EMIGRANT'S TEAPOT, 1850-1950. · No. 95 EMIGRANT'S SUITCASE, 1950s. No. 66 CRUCIFIXION STONE, 1740 & No. 77 WICKER CRADLE, 19th & 20th Centuries are also from the NMI-Country Life's Folklife collection and are based in NMI-Decorative Arts & History, Collins Barracks, Dublin. The National Inventory of Architectural Heritage is carrying out a survey of the post 1700 built heritage of the country. This photographic exhibition, which is currently running in the Museum Café, marks the publication of the Co Mayo survey. The purpose of the survey is to highlight a representative sample of the architectural heritage of each county and to raise awareness of the wealth of architectural heritage in Ireland. The full survey is published on the website www.buildingsofireland.ie. Photographers: James Fraher, Bogfire, Eamonn McCarthy, Images of Mayo, Simon Wall. Museum Shop: the Museum Shop offers a broad range of affordable quality gifts for any occasion. Unique products to suit all budgets and requirements. Visit http://www.museum.ie/en/list/calendar-of-events.aspx for details of the current programme of events. 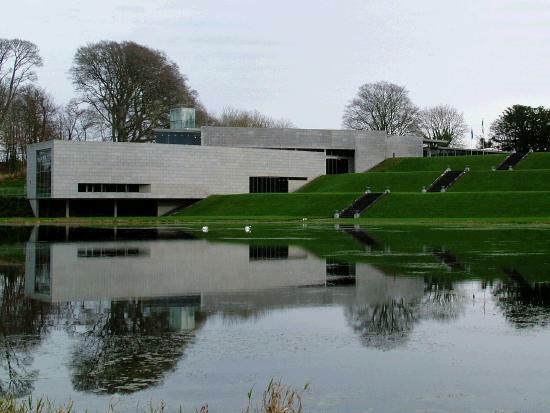 Contact tpark@museum.ie if you would like to join the Museum's e-mail distribution list. During your Museum visit, please take a seat at our Memory Book to record personal memories and stories related to the objects and exhibitions you have encountered in the Museum. The Memory Book form can be downloaded and returned to the Museum. This form can be completed even if you haven't been to the Museum yet as we would still like to hear your memories relating to Irish country life. The Documentation Department in the National Museum of Ireland - Country Life have launched a blog as a spin off from the Museum's Inventory Project - http://turloughparkhouse.wordpress.com/. Visit this blog to get some information on objects in the Museum's collection. www.ouririshheritage.org features articles on local history and heritage from around the country. Anyone with an interest in their local area can contribute to this website which, it is hoped, will eventually reflect the local history of the island of Ireland. Groups and organisations are welcome to promote their cultural and heritage events via the online events form. Museum: Tuesday-Saturday: 10am - 5pm Sunday: 2-5pm. Closed Mondays (incl. Bank Holiday). Museum Shop & Café: open during Museum hours with extended opening from 12pm each Sunday.